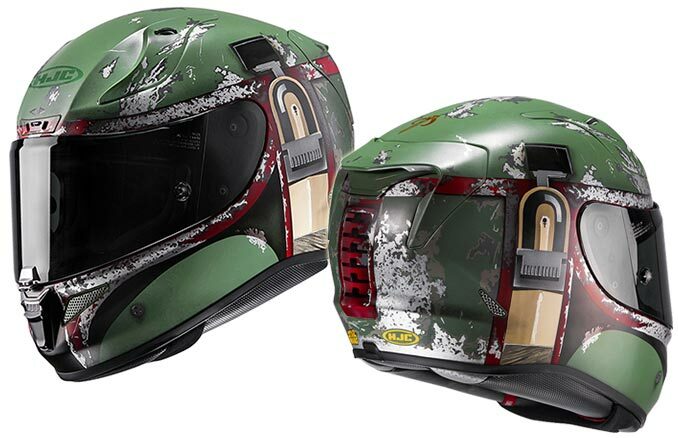 Like the Iron Man Helmet, this Boba Fett Motorcycle Helmet is also a real helmet based on the HJC RPHA 11 Pro. 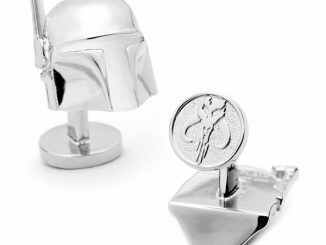 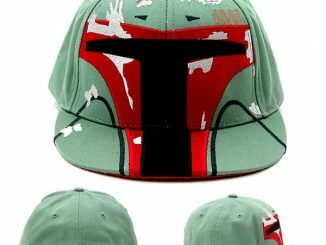 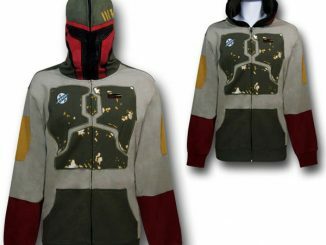 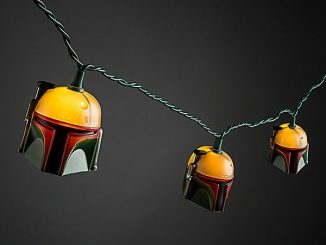 This means that you the awesome Boba Fett looks, without compromising on safety, comfort, visibility, or quality. 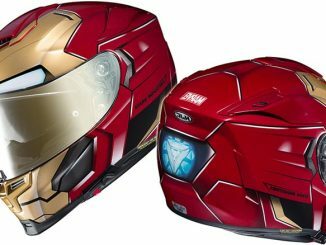 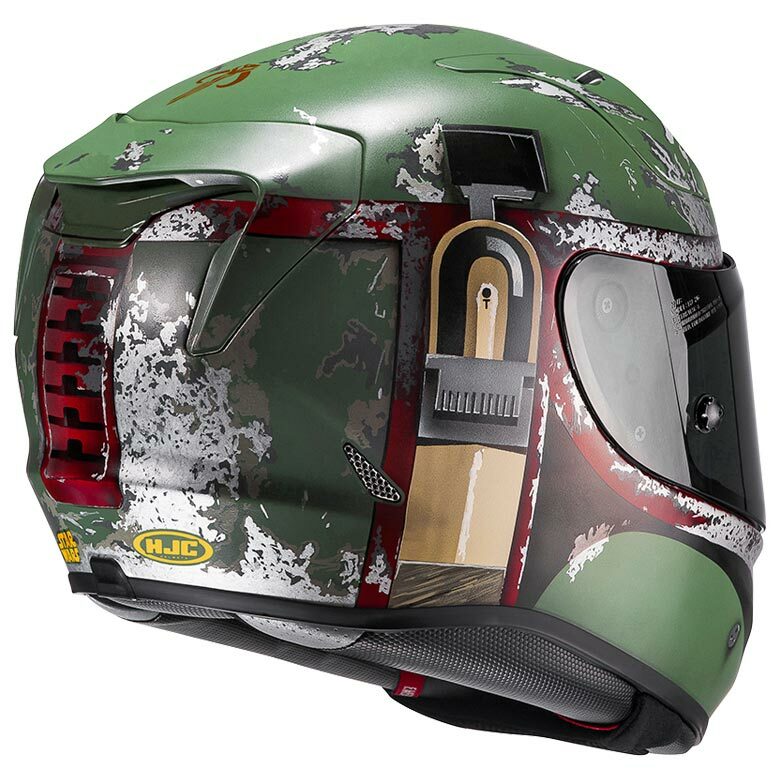 This helmet looks really cool too, with all the painted details and battle damage effects. 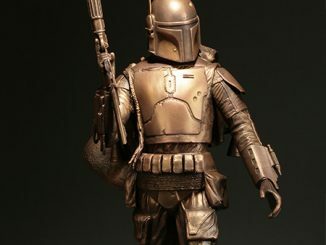 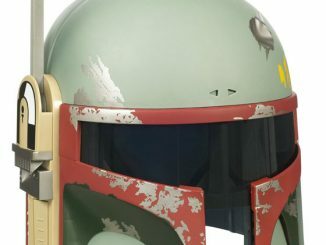 However, it would need a T shaped visor and an antenna on the side to really mirror Boba Fett. 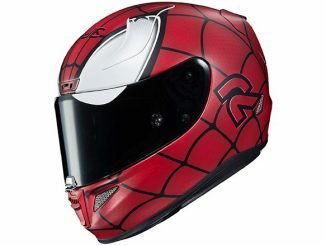 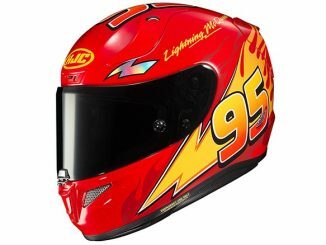 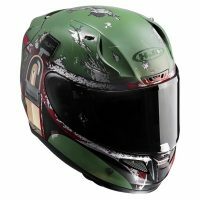 Neither is a practical or safe option for a motorcycle helmet, so it isn’t surprising that HJC didn’t include them. 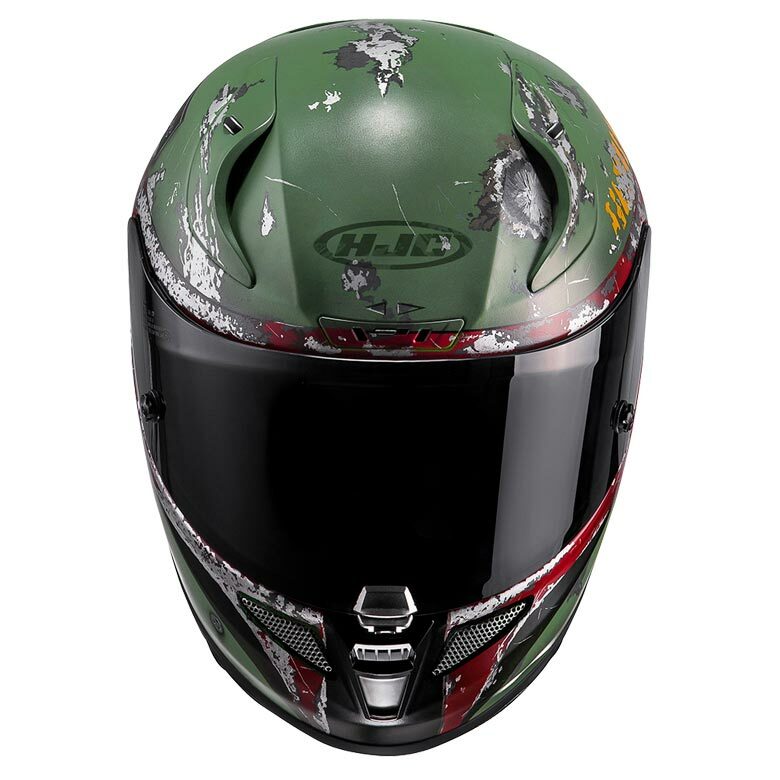 The RPHA 11 Pro is made with HJC’s very own Premium Integrated Matrix (P.I.M. 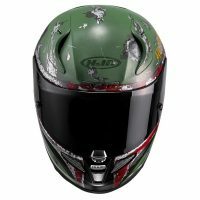 Plus) technology to provide enhanced Shock-Resistant performance, superior aerodynamics, more comfort, and an extremely lightweight shell. The RPHA 11 Pro full-face helmet features a six-stage variable airflow system with a Max Airflow Top Vent and glove-friendly dials on each intake vent. The ACS Advanced Channeling Ventilation System creates full front-to-back airflow to flush heat and humidity out of the interior. 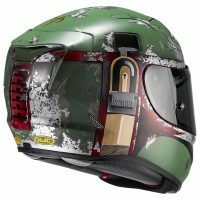 The Emergency Kit cheek pads assist with emergency helmet removal. 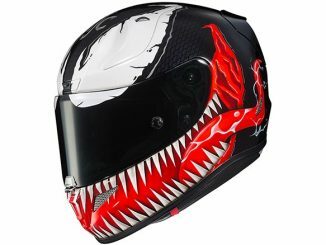 The optically superior 2D face shield provides 95% UV protection and features a center one-touch open/close locking system, and an enhanced shield dual lock system for high speed racing conditions. 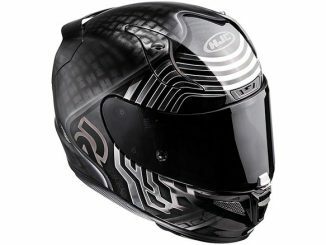 The RPHA 11 Pro full-face helmet is ideal for riders who want both the lightweight of racing helmets and the comfort of touring helmets. 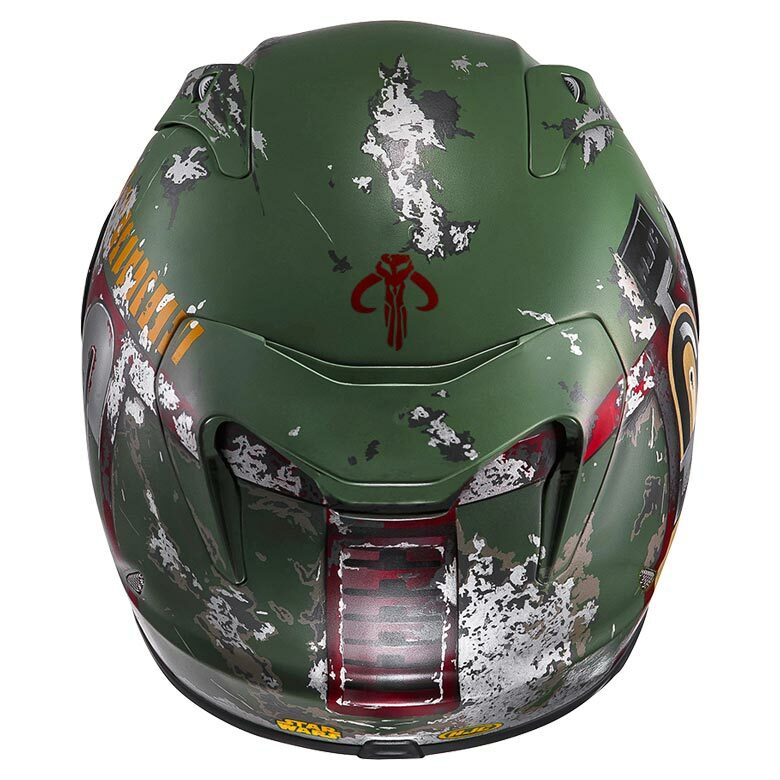 This officially licensed RPHA 11 Pro Boba Fett helmet features battle damaged graphics to mimic the details of the helmet in the Star Wars series of films. 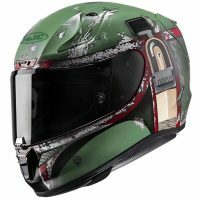 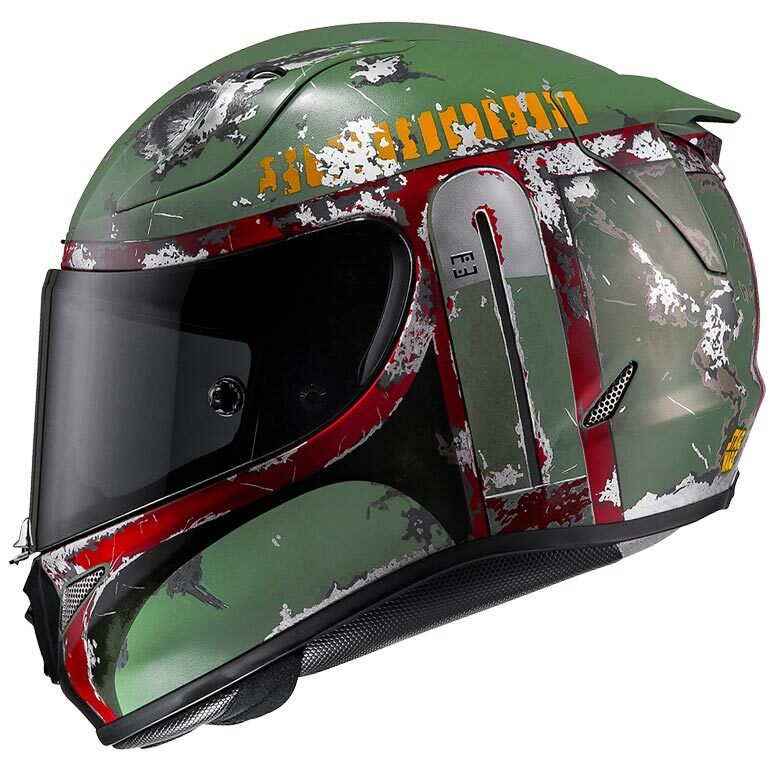 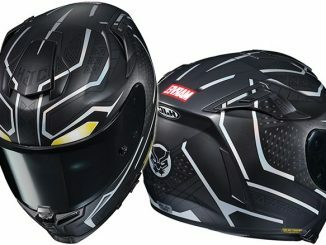 The HJC RPHA 11 Pro Boba Fett Motorcycle Helmet is available at BikeBandit, RevZilla, MotoSport.com, BTOSports, Cycle Gear, and Big Bad Toy Store.